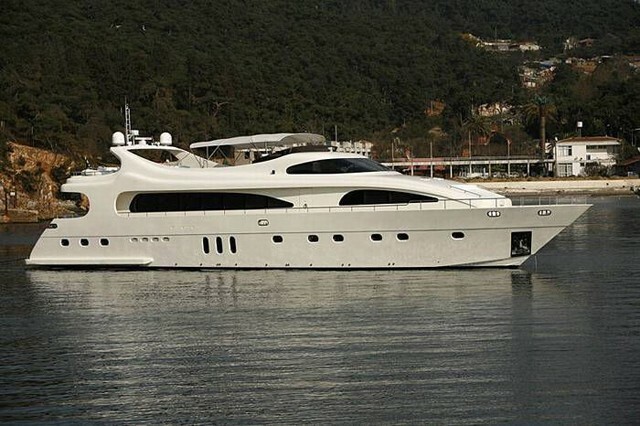 Motor yacht GRACE KELLY is a 33m (108") superyacht built in 2007 available for charter in the South-Western Mediterranean, Costa del Sol, Gibraltar, Morocco and Marbella. 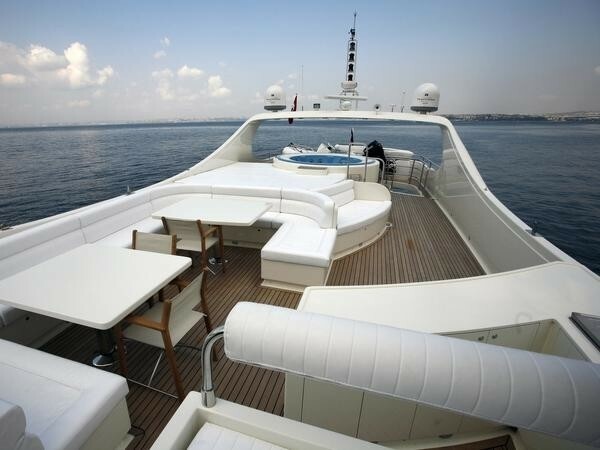 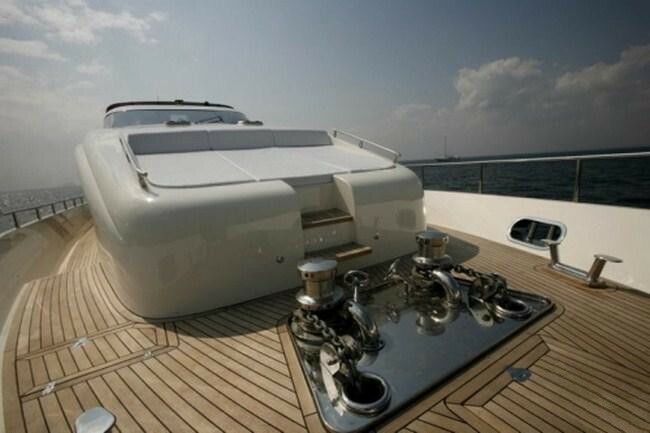 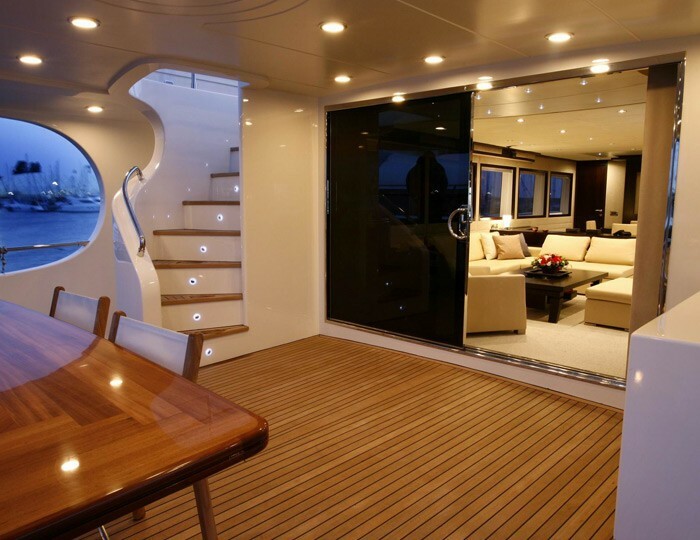 Yacht GRACE KELLY’s exterior lines are elegant and flowing while her interior displays a contemporary theme with touches of natural wood timbers. 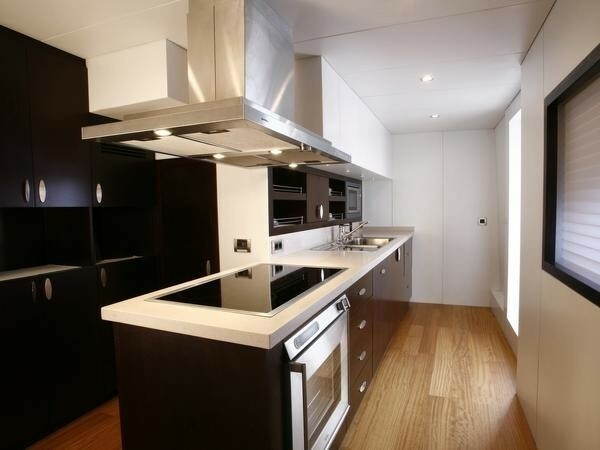 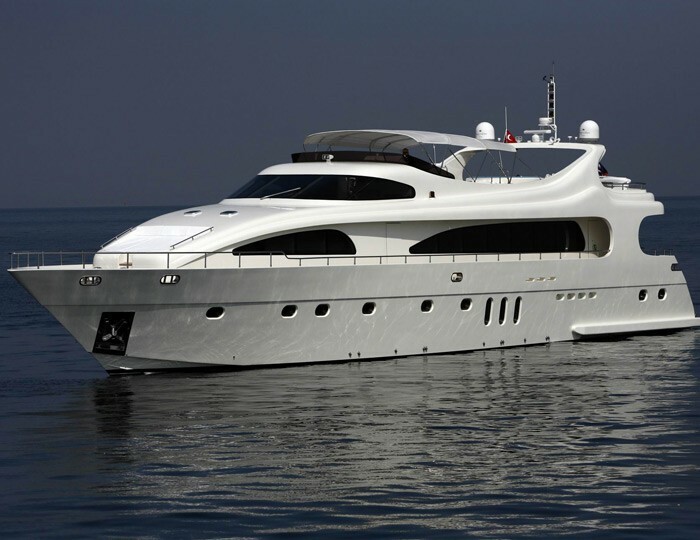 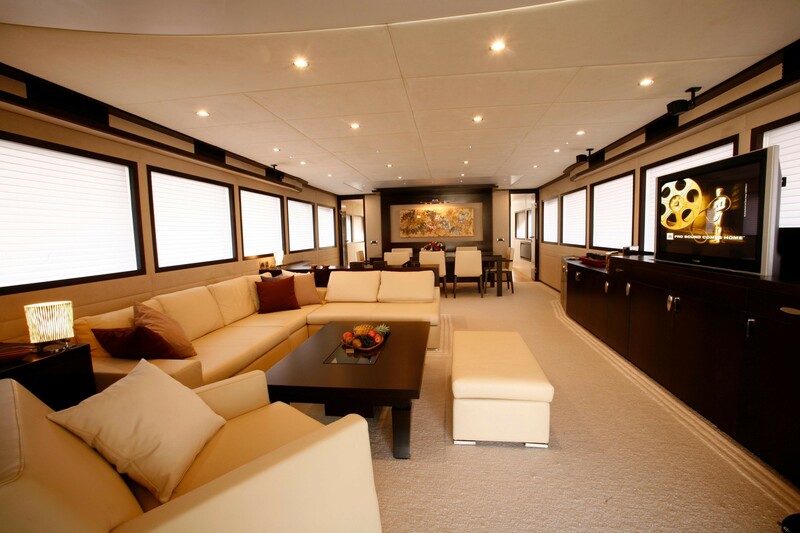 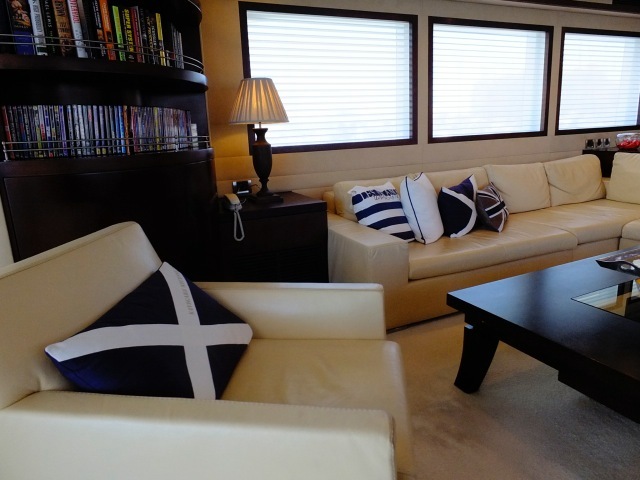 GRACE KELLY lavishly pampers and accommodates up to 10 guests in 3 Double and 2 Twin cabins. 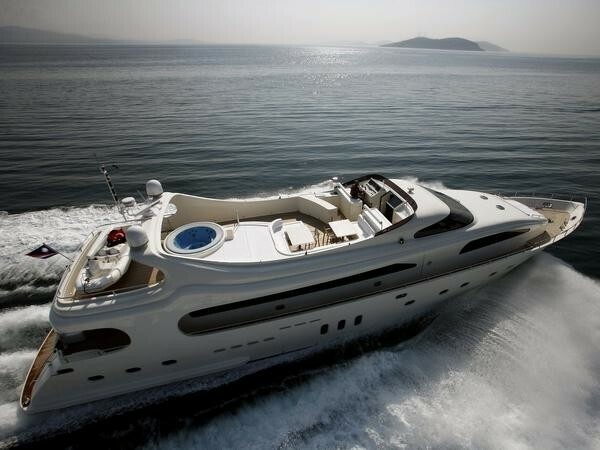 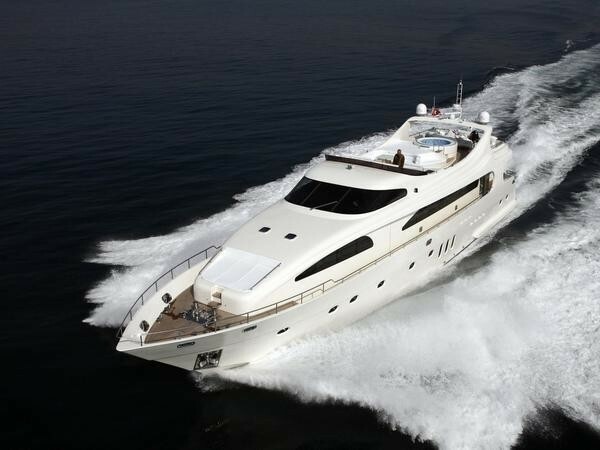 The GRACE KELLY motor yacht offers a large flybridge deck and an outdoor Spa Pool pool as well as an aft deck for al fresco dining and a swim platform to access the popular water sport ‘toys’. 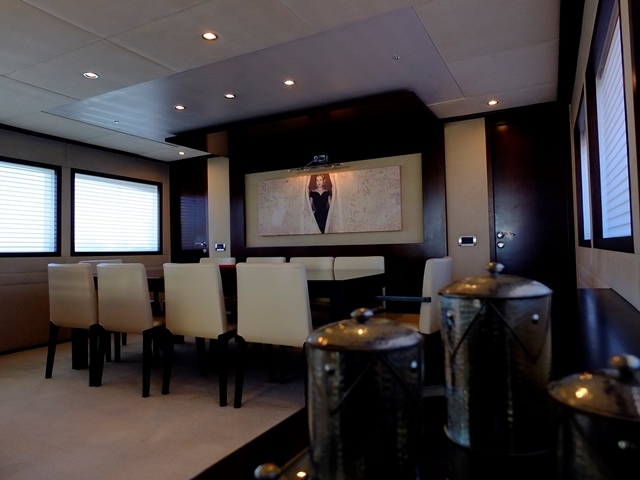 She has a spacious main salon with formal dining area, a great place to relax at any time of the day. 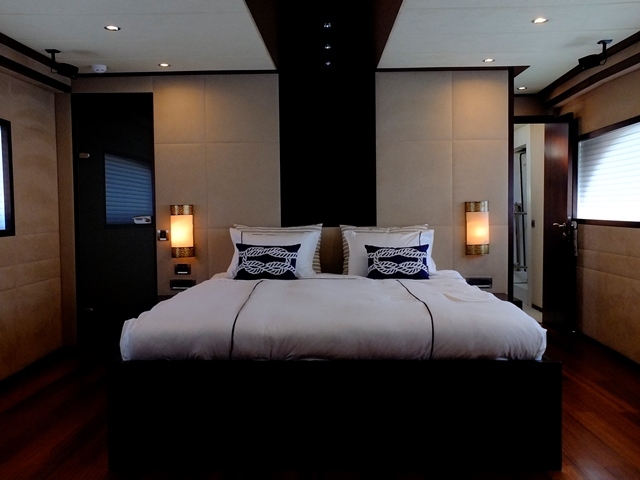 The crew onboard the GRACE KELLY charter yacht provides a true 5-star hotel experience. 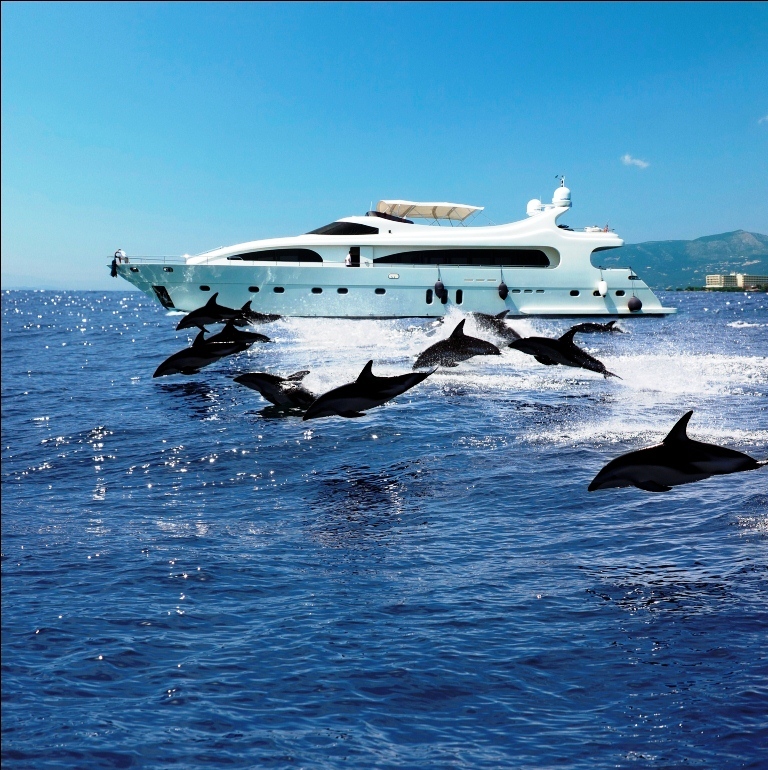 The Gourmet Chef, the hotel trained service and excellent amenities make this the superyacht of choice for many discerning guests. 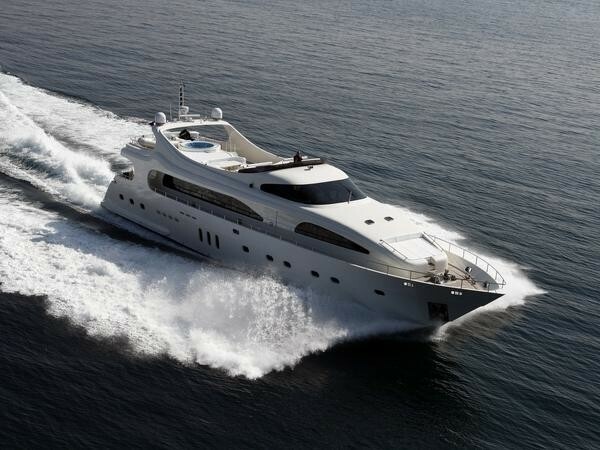 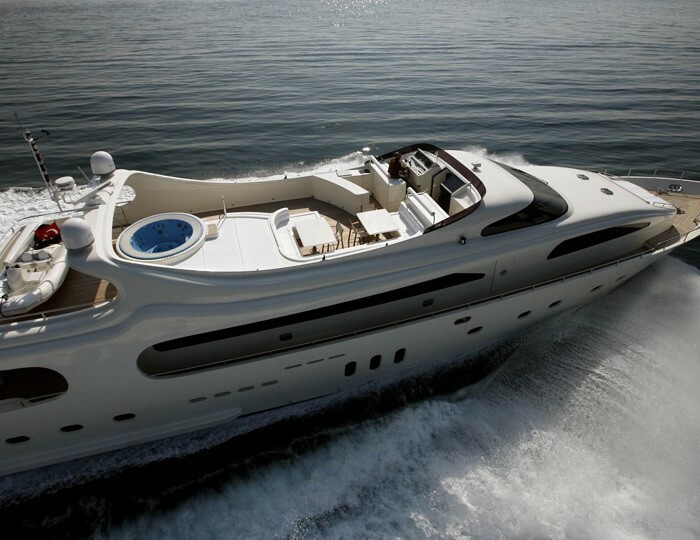 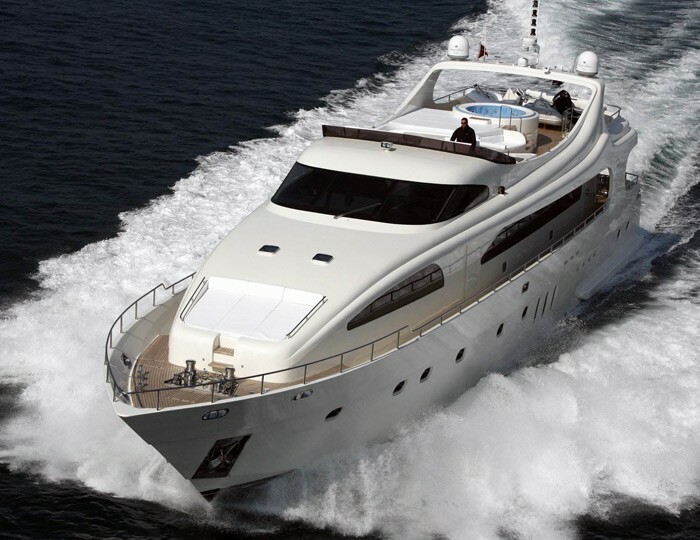 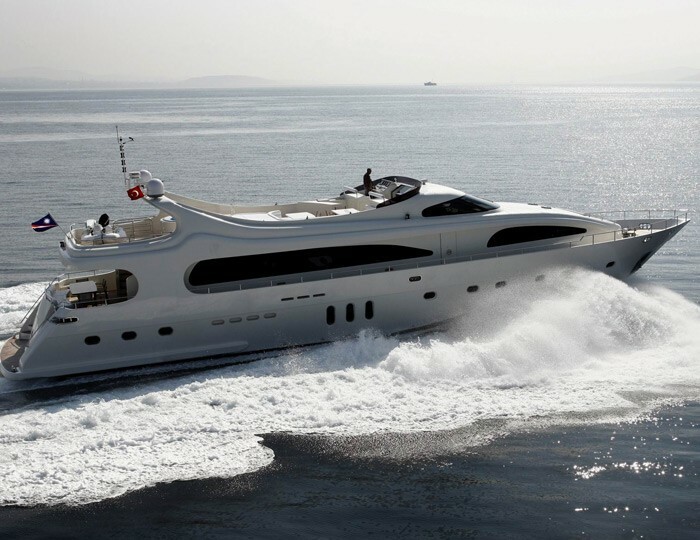 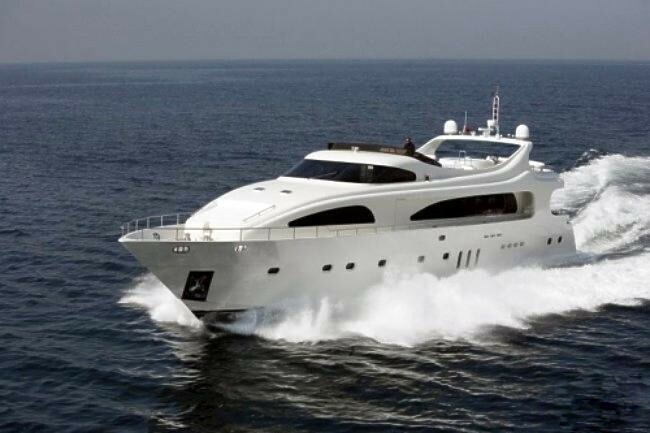 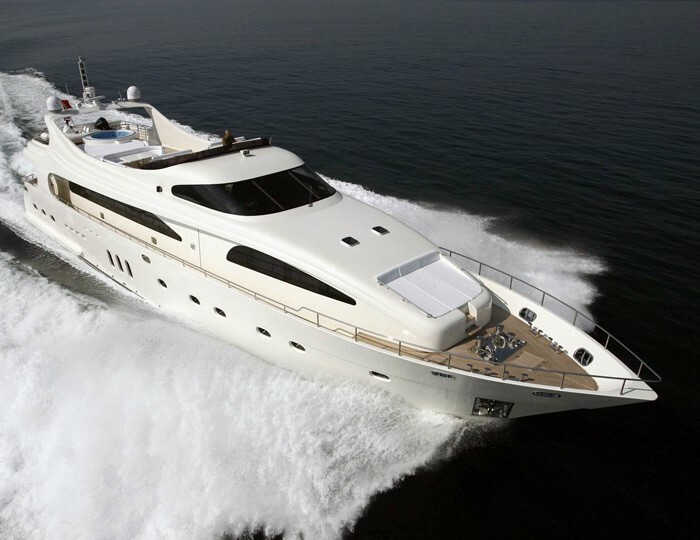 With twin 1800HP MTU diesel engines, M/Y Grace Kelly is able to cruise between destinations at 22 knots and more. 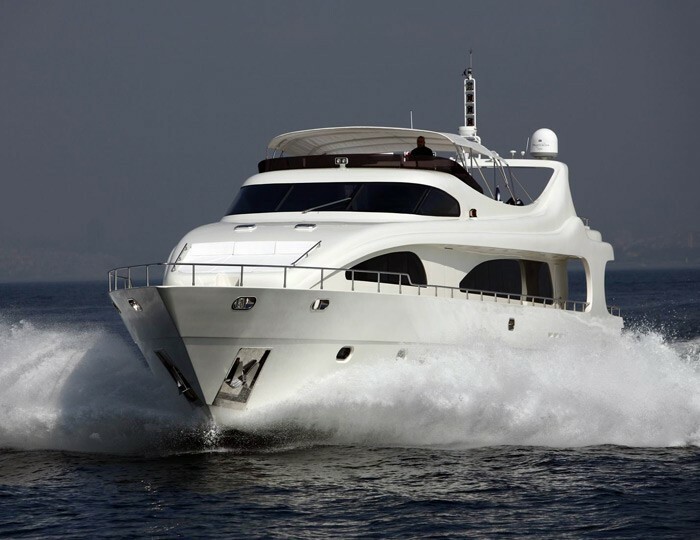 Her chartering area is a true itinerary gem, more than 80 golf courts to choose from, a river cruise up to historic Seville, the Andalusian night life, an African safari, it's all within your reach. 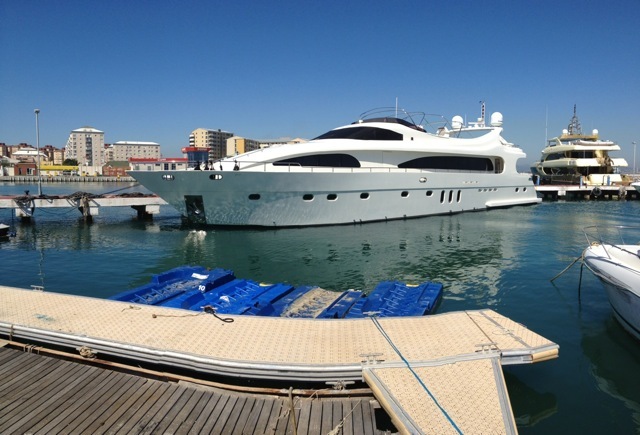 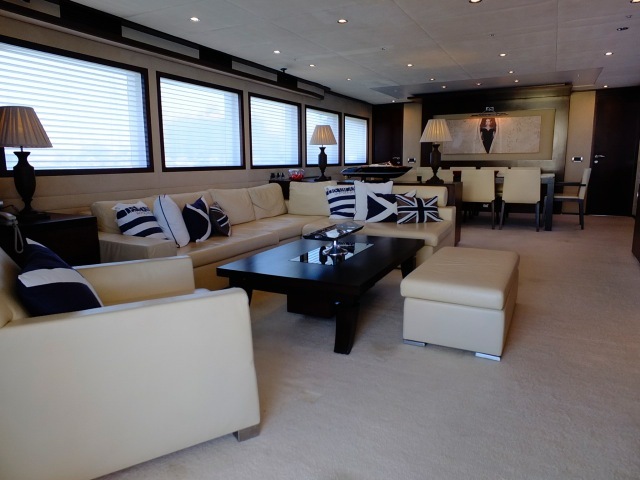 Superyacht GRACE KELLY received an interior refit in 2013. 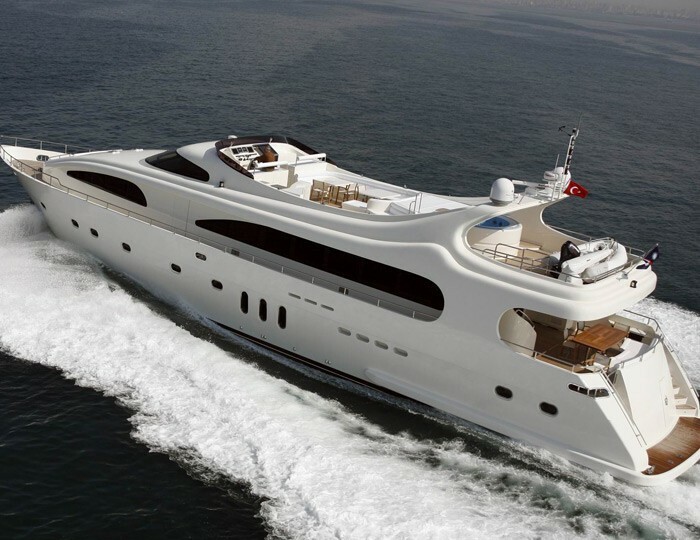 Superyacht GRACE KELLY is able to accommodate up to 10 charter guests in 5 cabins. 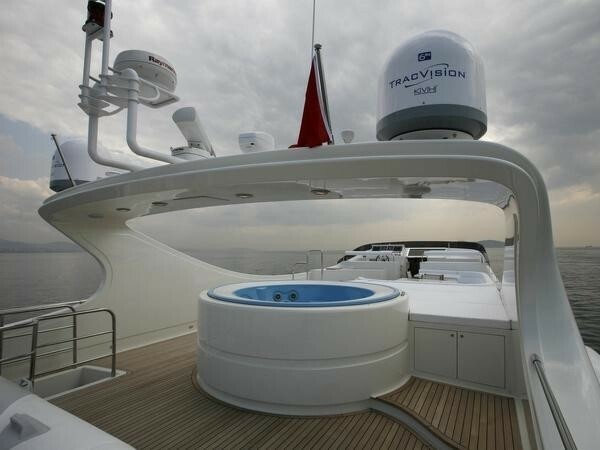 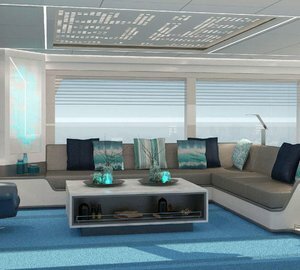 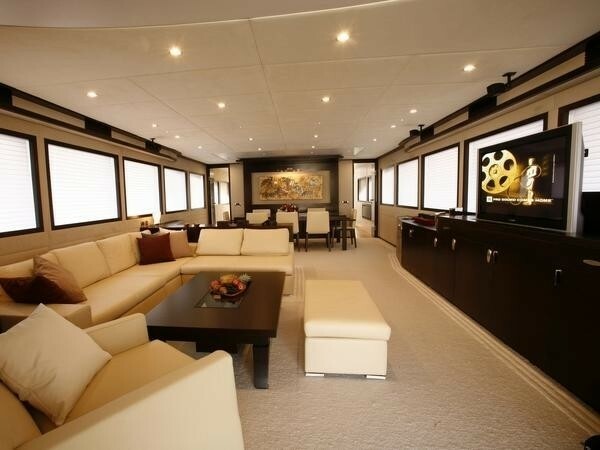 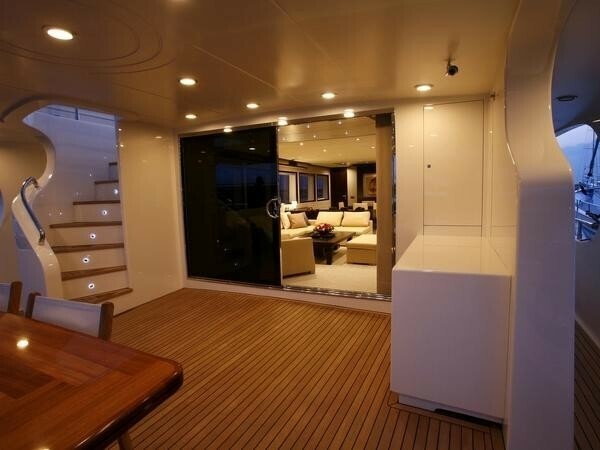 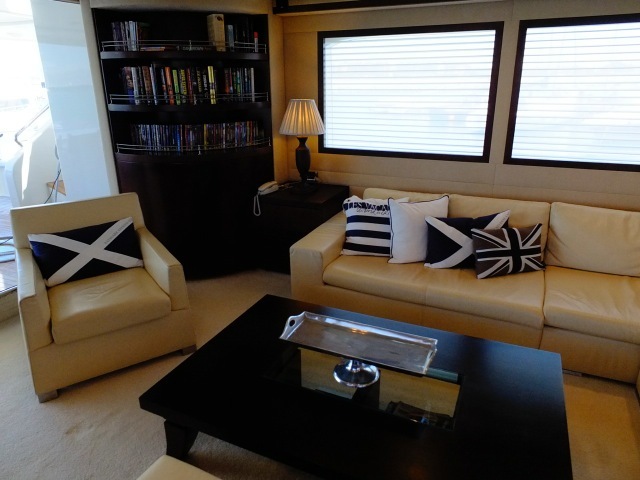 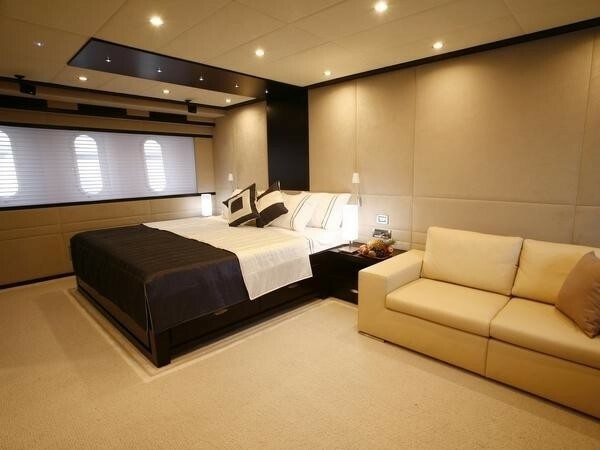 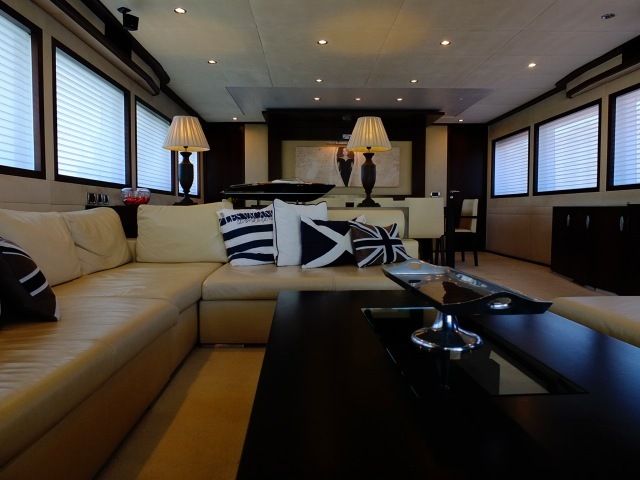 Her large Master Cabin is located on the main deck forward and has a king size bed, study, sofa. 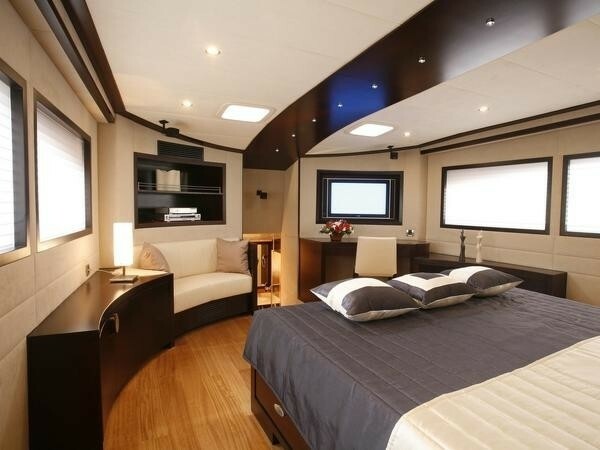 There is also a large aft Master cabin, with king size bed, study, sofa, a VIP cabin, with Queen size bed, study and 2 Guest cabins with two single beds. 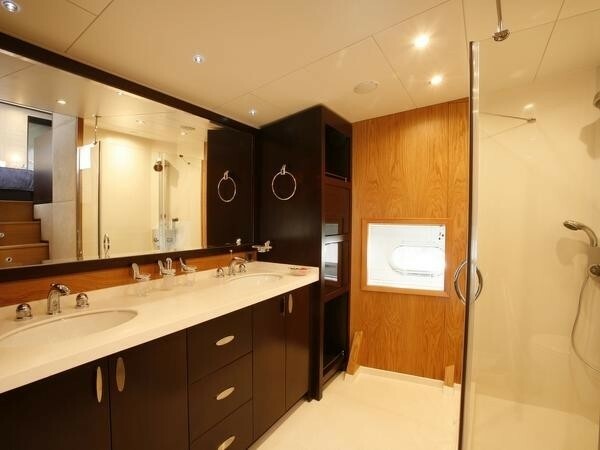 All cabins include en-suite shower and toilette, Clarins amenities, intercom, SAT phone and entertainment system.